All set up at Eden Court Theatre in Inverness. 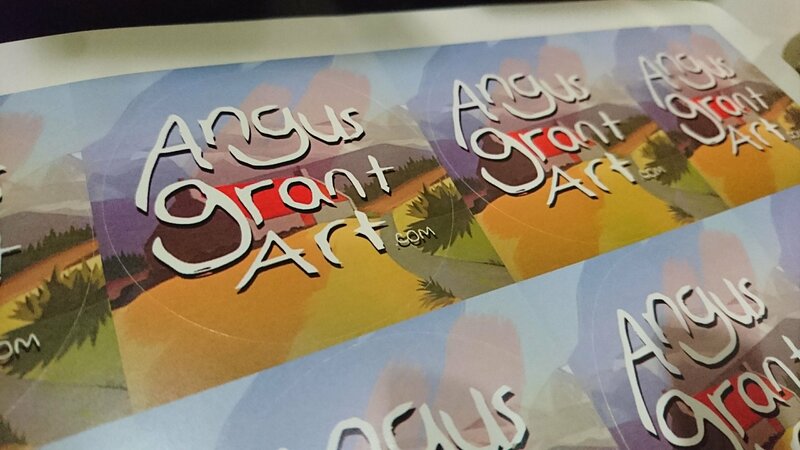 Final craft fair of the year… Your last chance to get an Angus Grant Art Christmas present! Doors open at 12-8pm today and from 10am Saturday and Sunday. 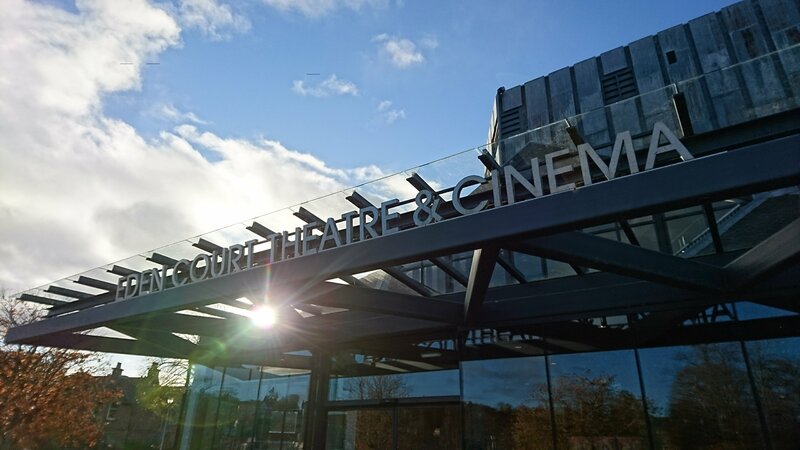 Categories: Craft, Events & workshops, Products | Tags: Eden Court Theatre, Exclusively Highlands, Inverness | Permalink. Just about ready to go at Eden Court Theatre… the mugs are out and the sun is shining on the Exclusively Highlands Craft Fair. Angus Grant Art can be found in the Bishop’s Palace: you might see us through the window as you go in the main door. Go right as you enter the lobby and keep going up the slope and then through the doors on right beside the fudge stall and right again into our cosy room of craft. Doors open today from 12pm to 8pm… A chance for late night shopping? We’re also here Saturday and Sunday. Categories: Craft, Events & workshops, Illustration, Products | Tags: craft fair, Eden Court Theatre, Exclusively Highlands, Inverness | Permalink. I’m off on my travels later this week – back on the craft fair circuit. Angus Grant Art will be at Coo Cathedral near Aboyne on Saturday and Sunday for Exclusively Highlands event. I’ve never been there before so I’m really looking forward to it. The venue looks fantastic and I reckon there will be a brilliant atosphere. It’s a great chance to go further afield with my work and meet new people. Coo Cathedral is also the first in a series of events for me in the run-up to Christmas. This is the list so far. You can also find the list on my Events page – hope to see at one of these soon! 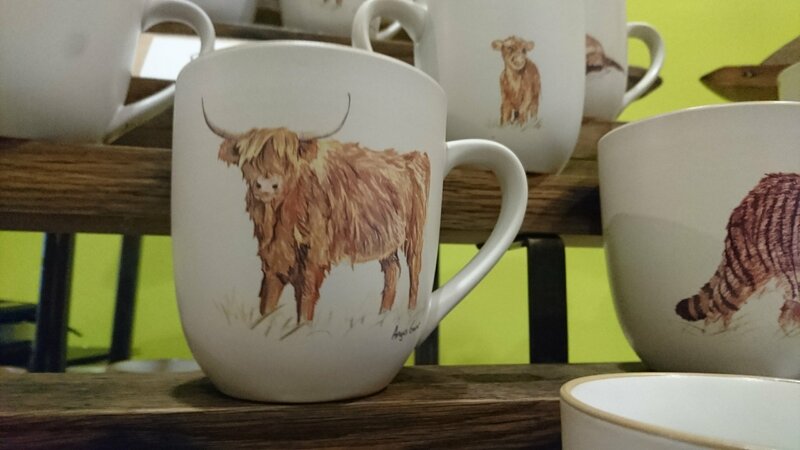 Categories: Events & workshops, Products | Tags: Aboyne, Coo Cathedral, craft fair, Eden Court Theatre, Exclusively Highlands, Inverness, mugs | Permalink. Another chance to get your gifts! 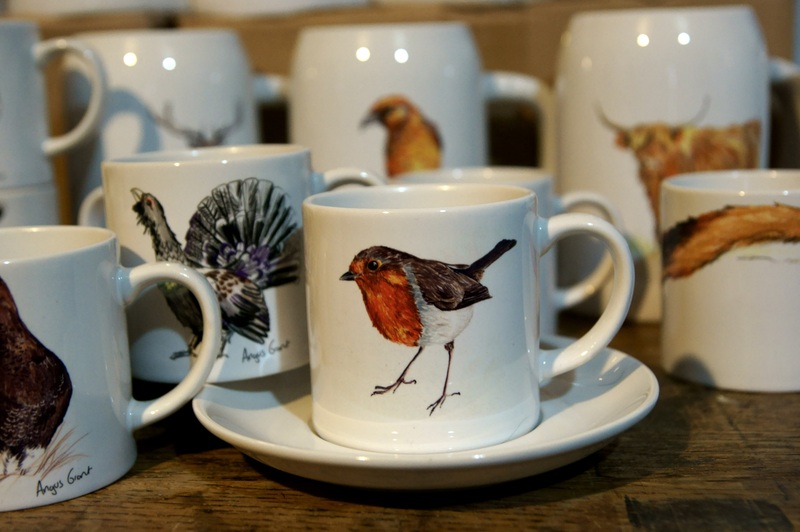 There’s no escaping Angus Grant Art mugs this weekend! I enjoyed the Creative Cairngorms craft fair so much a week or so ago that I’m doing it all again…… Twice! You can catch me at Eden Court Theatre in Inverness for the Exclusively Highland Christmas craft fair. It’s held on Friday from 12-8pm; and on Saturday and Sunday, 10am-5pm. And I’m sending a couple of Christmas elves down to Kingussie to set up stall at the Society of Badenoch and Strathspey artists ‘arts and craft market at the Iona Gallery. It’s the same place I had my exhibition in the summer so you should all know the way. Details below. Categories: Exhibitions, Products | Tags: Eden Court Theatre, Exclusively Highlands, mugs, Society of Badenoch and Strathspey Artists | Permalink.